Since joining The Nature Conservancy, and over the course of writing Nature's Fortune: How Business and Society Thrive by Investing in Nature, I've been fortunate to benefit from the perspectives and advice of many leaders of the environmental community. To continue the conversation on the ideas in Nature's Fortune, I recently spoke with leading conservationists, CEOs, scientists, academics and activists about the environmental movement -- what's working well, what we could do better, and what they see as the biggest challenges and opportunities ahead. Next in the series is my conversation with Stewart Brand, author of the thought-provoking Whole Earth Discipline: Why Dense Cities, Nuclear Power, Transgenic Crops, Restored Wildlands, and Geoengineering Are Necessary. Brand is also author of the Whole Earth Catalog, which influenced the counter-cultural movement of the 1960s; early pioneer of the Internet via The WELL, one of the Web's first online communities; and founder and president of the Long Now Foundation -- among many other fascinating endeavors. When asked what he does, Brand says, "I find things and I found things." Mark Tercek: Your 2009 book Whole Earth Discipline is one of my all-time favorite reads. I've found it enormously helpful in my job at The Nature Conservancy. Now that a few years have passed, is there anything you would change or add to your arguments in the book? Stewart Brand: I would tone down my alarmism about the pace of climate change in the opening chapter. Thankfully, global warming is proceeding less rapidly than expected, though it is still inexorable and potentially catastrophic in the longer term. I was largely relying on James Lovelock's observations in that chapter; he has strongly and publicly changed his opinion away from short-term panic. I would also add that predictions of "peak oil," "peak fossil fuels," and the like have proven so consistently wrong that they can be discarded entirely and in perpetuity. What is more interesting is the appearance of "peak demand" in one society after another. It will take longer in the developing world, but it is coming. Mark Tercek: In Whole Earth Discipline, you encourage environmental organizations to focus on science, think like problem-solving engineers, and be open to nuclear power, genetic engineering and urbanization -- topics that spark very passionate, and at times divisive, debate in the environmental community. What is your reaction to the controversy surrounding these topics? What can we learn from it? How can we encourage the shift from divisive rhetoric to healthy, science-based discussion? Stewart Brand: In Jim Harrison's wonderful novel, True North, he has a character (a biologist) say, "Every day I wonder how many things I am dead wrong about." It is such a freeing dictum. It is the discipline I refer to in the book's title, to constantly challenge one's own biases with fresh looks at fresh contradictory evidence. The much-invoked and indeed worthy Precautionary Principle (anticipating possible problems with new technologies, for example) works best when it is supplemented with what I call the Vigilance Principle. When you're being pre-cautious, spell out exactly what you are worried about, set some measures of the potential problems to watch, appoint unbiased entities to do the measuring and then abide by what they report over time. Also be watchful for what Kevin Kelly calls "unintended benefits." Mark Tercek: Your latest book, The SALT Summaries, collects 100 of your summaries of the monthly talks you curate on "long-term thinking" for The Long Now Foundation. What is your biggest takeaway from these talks? How can conservationists help more people make the shift to long-term thinking? Stewart Brand: People love being invited to think long-term. It makes them optimistic, for two reasons, I think. One is that looking back millennia enables realizations about progress. For example, violence, cruelty and injustice have declined dramatically over centuries and are doing so every decade -- that's Steven Pinker's book, The Better Angels of Our Nature. Looking forward centuries and millennia is inherently optimistic because it assumes we'll be around. Once that assumption is allowed, people enjoy acting with what might look like "irrational responsibility" to the customary doom-sayers. Mark Tercek: In Nature's Fortune, I argue that focusing on nature as investment opportunity can do a lot of good. It can get people who may have been viewed as opponents of the environmental movement on our side, provide a source of capital and an opportunity to scale up. What risks and opportunities do you see in this approach? 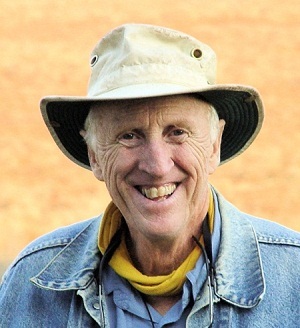 Stewart Brand: I love it that we are both pushing for a "natural infrastructure" interpretation of the natural world. Healthy civilizations invest deeply in infrastructure -- water systems, sewage systems, bridges, etc. You make the case that natural infrastructure like well-wooded watersheds is the finest kind of investment because it is already built, largely self-maintaining, cheap to defend and rife with ancillary benefits like aesthetic pleasure. Mark Tercek: If you had my job leading The Nature Conservancy, what would you make your top priorities? I've glimpsed some of the good scientific and policy debate going on within TNC. It might be worth opening up some of that to the Membership. Start with noncontroversial topics that involve new scientific results. In a similar vein, invite online discussion of some sticky problems, inviting new ideas or approaches for solution. "Crowd-sourced" solutions are proving shockingly effective at times. They also help inspire new volunteers. Mark Tercek: Speaking of new ideas, your recent TEDTalk on de-extinction -- bringing back extinct species by recreating their genomes -- was intriguing. Why is this something we should take on right now, given all the challenges we face? Stewart Brand: As it happens, National Geographic invited me to blog about why undertaking some de-extinction now might help conservation. You can read that here. In short, we should bring back extinct animals for the same reasons we protect endangered species: to preserve biodiversity, to restore diminished ecosystems, to advance the science of preventing extinctions and to undo harm that humans have caused in the past. Mark Tercek: You've led an extraordinarily fascinating life, from author of The Whole Earth Catalog, which influenced the counter-cultural movement of the 1960s; to an early pioneer of the internet via The WELL, one of the Web's first online communities; to president of the Long Now Foundation. What's the secret to your intellectual stamina? I was lucky to come of age among California intellectuals, who have been characterized as "action intellectuals." We are not allowed to just write and talk about ideas that interest us. We are expected to do things -- start companies, invent tools, found nonprofits, throw parties, convene and curate. Cred here is a kind of street cred. Some of our best -- Steve Jobs, Kevin Kelly, George Dyson, Bill Gates, Mark Zuckerberg -- dropped out of college.